Need more professional customizations in a popup to get the look and functionality you need? Select the HTML Element option of Popup Maker and add any piece of HTML code to fully build your popup content and look you wish! 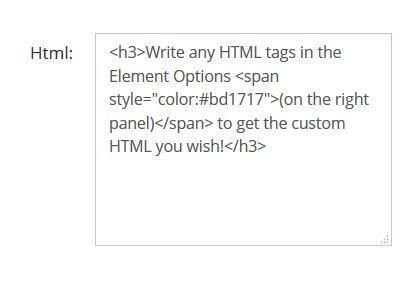 Under the Popup Element Options, in the Html field, you are free to add any piece of HTML code and tags you wish. Check all the changes you apply on the left side of the editor page.